alaTest ha recogido y analizado 232 comentarios relacionados al producto Libratone Zipp Mini. En promedio, la calificación para este producto es 4.5/5, al ser comparado con la calificación 4.3/5 de otros productos en la categoria productos. Los commentarios acerca del tamaño y el diseño son por lo general positivas. La fiabilidad y la relación calidad-precio también se valora. Analizamos las valoraciones de los usuarios y los expertos, la edad del producto y demás factores. Comparado con otros productos el Libratone Zipp Mini recibe una alaScore™ global de 94/100 = calidad excelente. The Libratone Zipp Mini speaker delivers a bass-forward, user-friendly Bluetooth and Wi-Fi audio experience that can be used in multi-room scenarios. Streams audio via both Bluetooth and Wi-Fi. Stylish, portable design. Intuitive control panel. Can be expanded for multi-room setups. Highly sculpted audio and lack of stereo drivers will irk purists. Can't afford a Bang and Olufsen wireless speaker? You might try the new Zipp or Zipp Mini from another Danish company, Libratone. You may have never heard of Libratone, but its original Zipp -- now called the Classic Zipp -- was one of the best first-generation portable Wi-Fi speakers on the market. We'll have more in-depth impressions in our full review so check back in a few weeks to see how Libratone's new wireless speakers stack up. The Libratone Zipp Mini is a stylish Bluetooth speaker, sharing its design with the larger version of the Libratone Zipp. 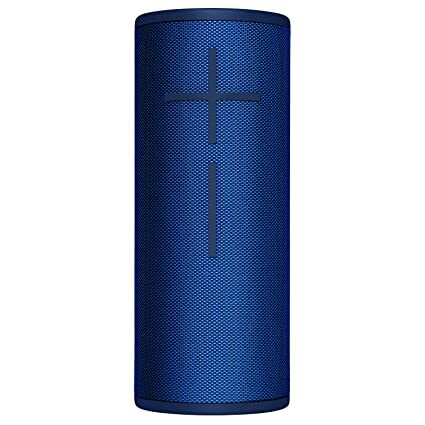 Can this Bluetooth speaker offer a similar sound to its older brother? We sent the Libratone Zipp Mini to the test lab to find out. Der Bluetooth-Lautsprecher Libratone Zipp Mini hängt dank Bluetooth, WLAN und AirPlay in Sachen Ausstattung die Konkurrenz ab. Die Bluetooth-Box klingt zudem noch ziemlich gut: Differenziert, fein und ausgewogen ist der Speaker. Mulitroom für unterwegs? Der neue Bluetooth- und WLAN-Lautsprecher von Libratone, der ZIPP Mini, kostet 250 Euro. Wir machen den ersten Praxistest.